This book provides an alternative perspective on an issue fraught with difficulty – the enforcement of prenuptial agreements. Such agreements are enforced because the law acknowledges the rights of spouses to make autonomous decisions about the division of their property on divorce. Yet this book demonstrates that, in the attempt to promote autonomy, other issues, such as imbalance of power between the parties, become obscured. 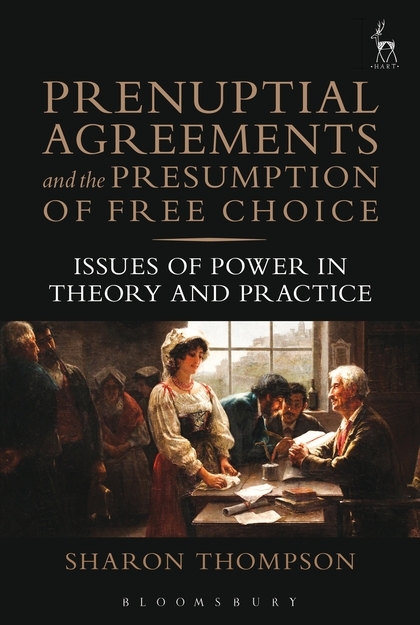 This book offers an academic and practical analysis of the real impact of prenuptial agreements on the relationships of those involved. Using a feminist and contractual theoretical framework, it attempts to produce a more nuanced understanding of the autonomy exercised by parties entering into prenuptial agreements. This book also draws on an empirical study of the experiences and views of practitioners skilled in the formation and litigation of prenuptial agreements in New York. Lastly, it explores how the court might address concerns regarding power and autonomy during the drafting and enforcement processes of prenuptial agreements, which in turn may enhance the role that 'prenups' can play in the judicial allocation of spousal property on the breakdown of marriage. Sharon Thompson is a Senior Lecturer in Law at Cardiff University.